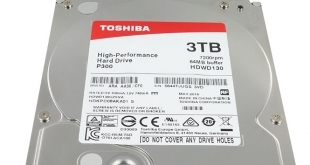 When thinking about the good fashioned rattly mechanical desktop hard drives, Toshiba isn’t usually the first name that springs to mind but they offer three ranges of 3.5in drives from Low Energy models to high-performance ones. 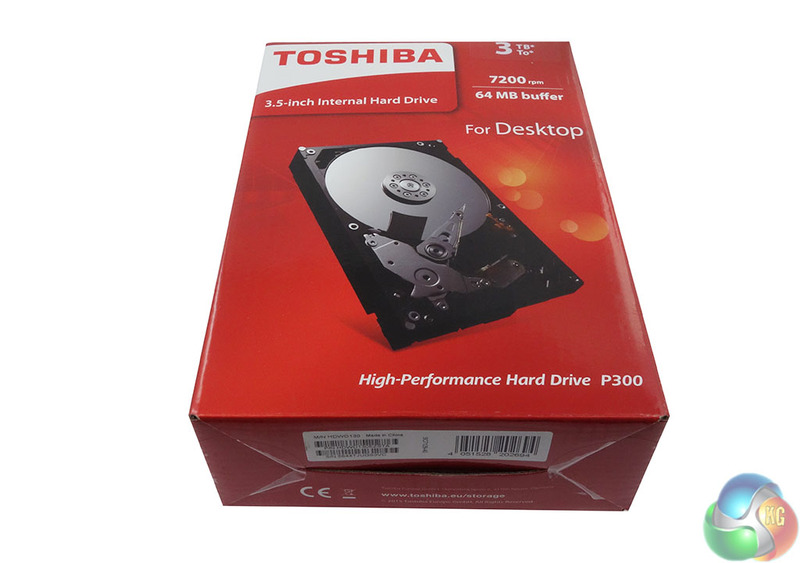 Today we look at their latest P300 series – in a 3TB capacity. 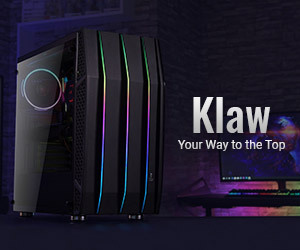 The P300 series sits in the middle of the three ranges with four capacities; 500GB, 1TB, 2TB and the flagship 3TB (HDWD130EZSTA) model we are looking at here. 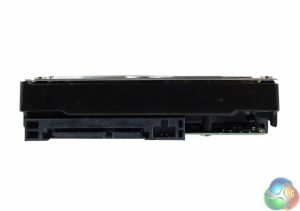 The P300 3TB drive uses three 1TB platters (discs) to achieve it’s capacity, has a spindle speed of 7,200rpm and 64MB of cache with a quoted average latency of 4.17ms. The front of the box shows an image of the drive (without a lid) and good clear descriptions of its capacity, spin speed and cache. The back of the box has a panel of multilingual statements of the drive’s features. Also packed in the box are a quick start guide and a warranty leaflet. 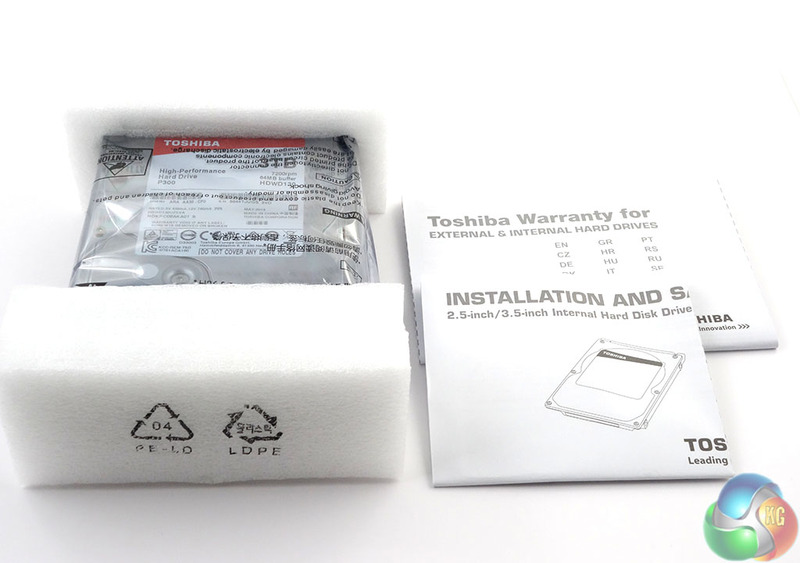 Although the drive doesn’t come in clamshell packaging to protect it, it is firmly supported in-between two packaging end pieces so it sits nice and securely in the box. Built on a standard 3.5in format, the 3TB P300 is a three-platter design with six heads. 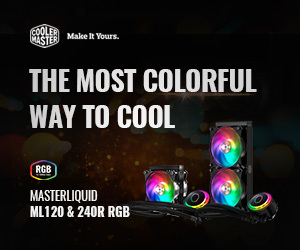 It also uses Dual-stage actuator technology (as does the 2TB model) which helps protect the positional accuracy of the head against deviations caused by vibration during both reading and writing operations. 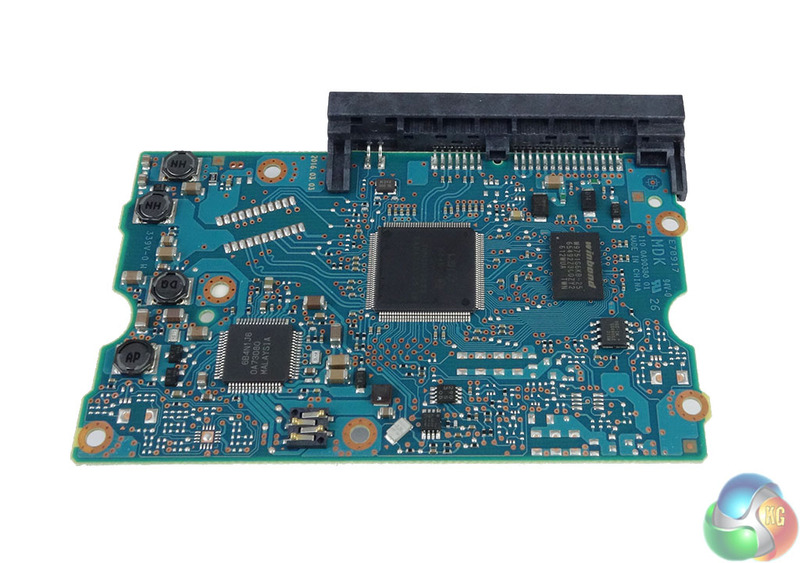 A quick glance at the rear of the PCB shows an LSI 6045 storage controller, a Winbond DDR2 DRAM chip and a spindle controller coded 6B4N1J6. For testing, the drives are all wiped and reset to factory settings by HDDerase V4. We try to use free or easily available programs and some real world testing so you can compare our findings against your own system. 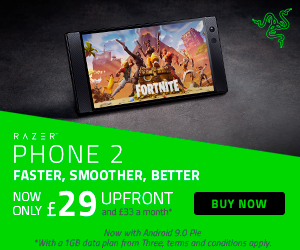 This is a good way to measure potential upgrade benefits. Intel Core i7 4790K with 16GB of DDR3-2133 RAM, Sapphire R9 390 Nitro and an ASRock Extreme 6 motherboard. All our results were achieved by running each test five times with every configuration this ensures that any glitches are removed from the results. 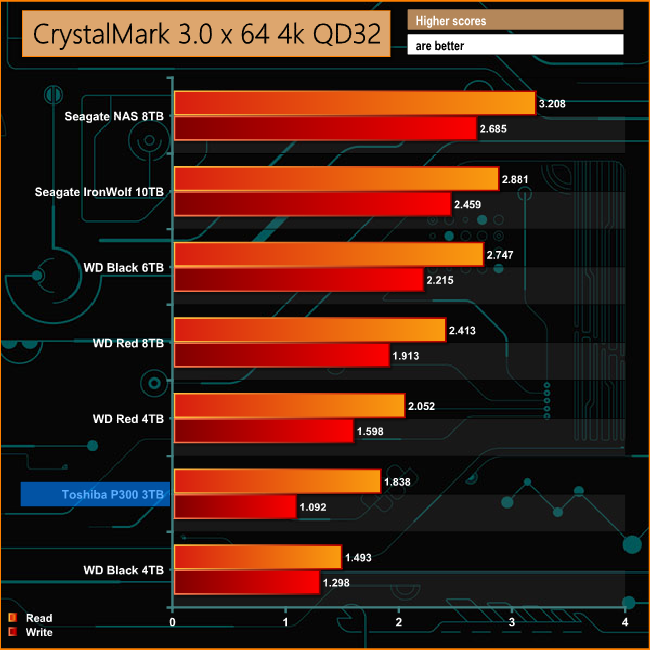 Crystalmark is a useful benchmark to measure theoretical performance levels of hard drives and SSD’s. We are using V3.0.3. 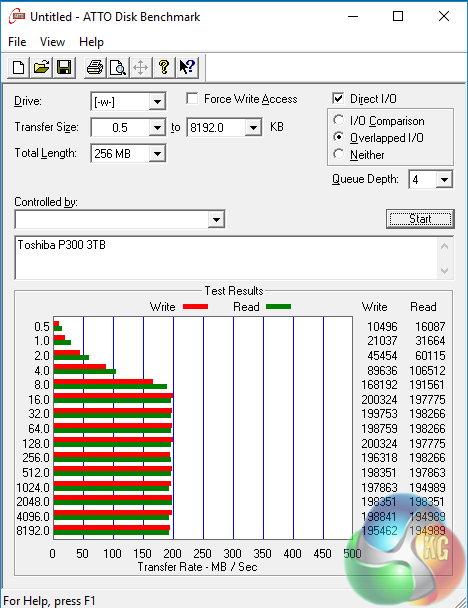 At 1.83MB/s the read performance of the 3TB P300 at a QD of 32 is pretty good, beating the 4TB WD Black although falling short of the 4TB WD Red’s read performance. 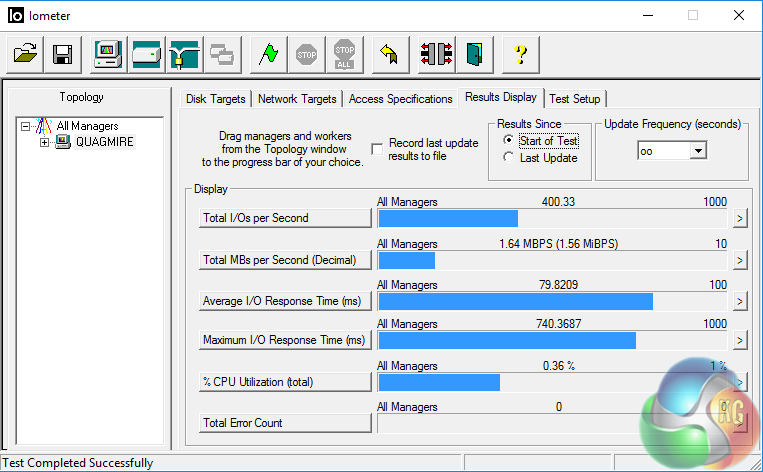 However, the drives write performance isn’t as strong at 1.09MB/s. 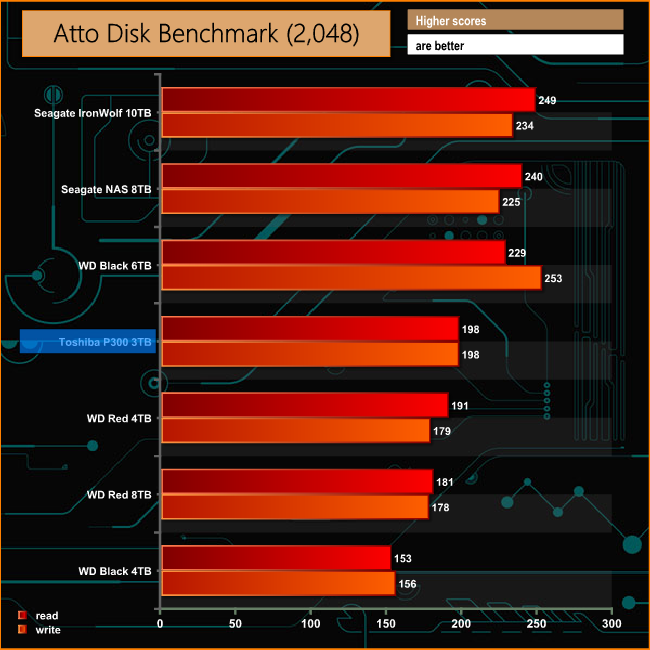 The ATTO Disk Benchmark performance measurement tool is compatible with Microsoft Windows. Measure your storage systems performance with various transfer sizes and test lengths for reads and writes. Several options are available to customize your performance measurement including queue depth, overlapped I/O and even a comparison mode with the option to run continuously. 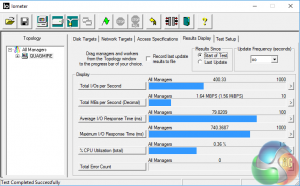 Use ATTO Disk Benchmark to test any manufacturers RAID controllers, storage controllers, host adapters, hard drives and SSD drives and notice that ATTO products will consistently provide the highest level of performance to your storage. 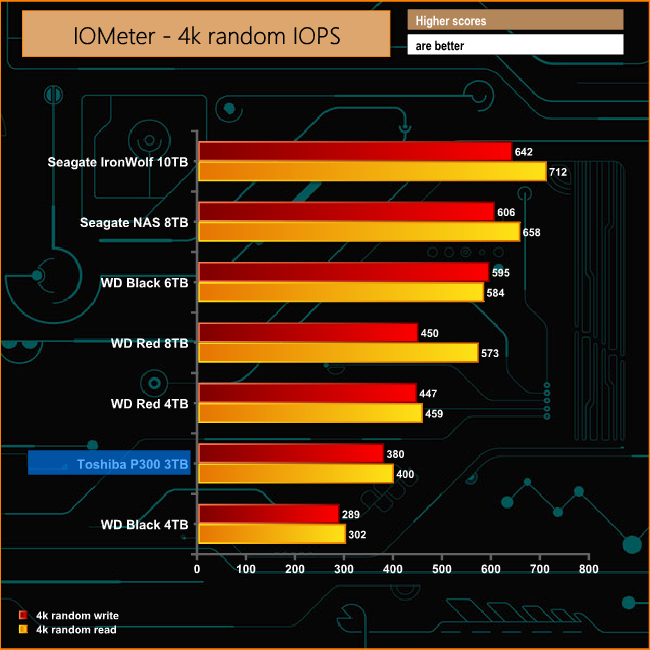 The P300’s Sequential read/write performance is good enough to see off both the WD Black and Red 4TB drives as well as WD’s 8TB Red model. We test with both random read and write 4k tests, as shown above. 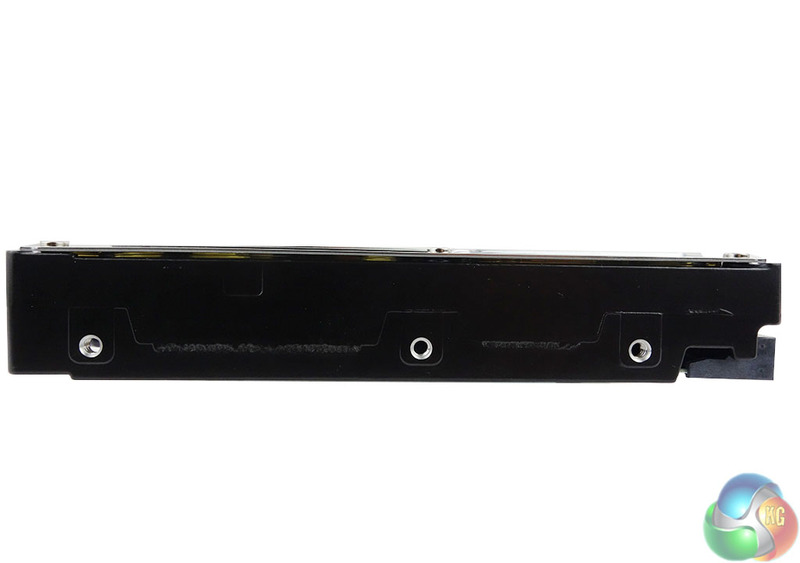 There are many ways to measure the IOPS performance of a Hard Drive, so our results will sometimes differ from manufacturer’s quoted ratings. 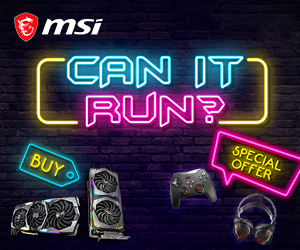 We do test all drives in exactly the same way, so the results are directly comparable. 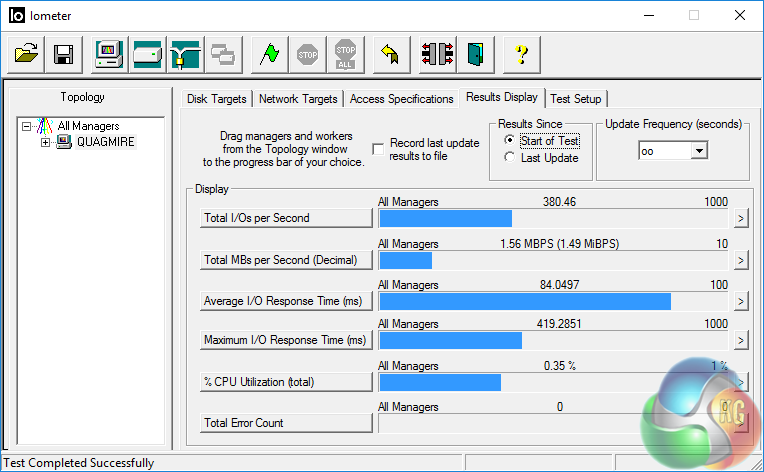 The 4K random read/write IOMeter test finds the Toshiba P300 sandwiched between the two WD 4TB drives. 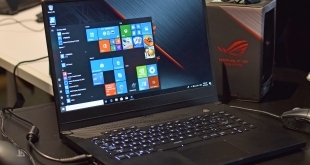 Both its read and write performance is considerably quicker than the 4TB WD Black although both figures fall short of WD’s Red drive performance. 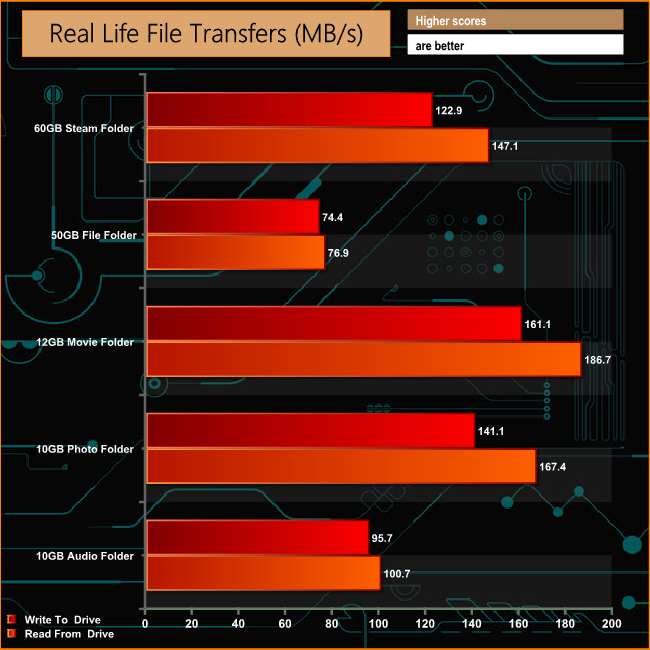 To test real life performance of a drive we use a mix of folder/file types and by using the FastCopy utility (which gives a time as well as MB/s result) we record the performance of the drive reading from & writing to a 256GB Samsung SSD850 PRO. The drive did struggle somewhat with the bity files of the 50GB File folder in both read and write modes, but sailed through all the other tests scoring over 100MB/s for all bar writing the contents of the 10GB Audio Folder which fell just under the 100MB/s barrier at 95.7MB/s. Although we keep hearing the death knell for the mechanical hard drive particularly in the consumer market, they will still be around for some while yet. Sales figures for HDD’s actually picked up in Q3 2016 (desktop drives were up 12.4%) although this must be seen against the steep drop in sales in Q1 and Q2. Even with the market in decline, the three HDD companies still sold over 113M drives between them in Q3 2016. 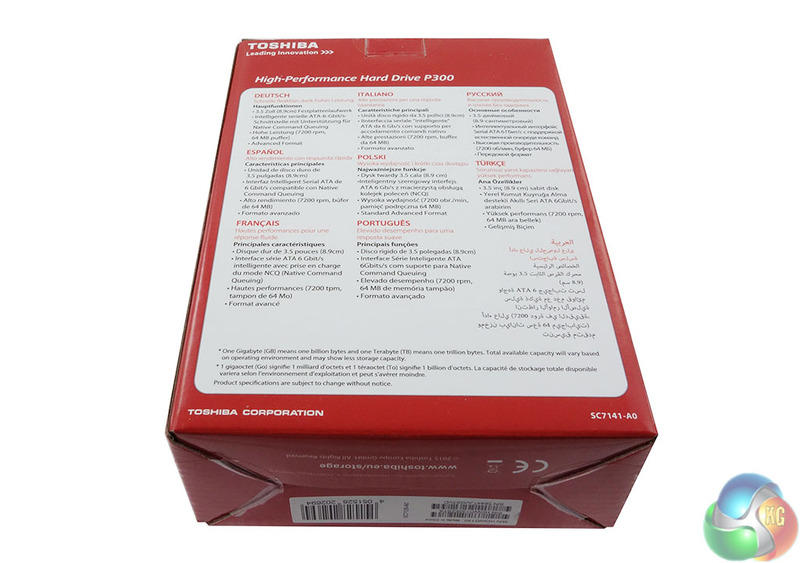 Toshiba’s P300 drive ticks all the boxes for a modern hard drive; Perpendicular Magnetic Recording (PMR), Tunnel Magneto-Resistive recording technology (TMR), Halogen Free and Advanced Format technology. 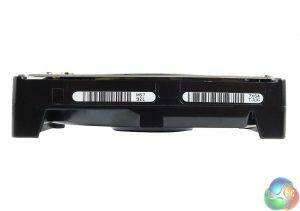 The range also adds another couple of data protection features to the list; an internal shock sensor and ramp loading technology. The 3TB drive (and the 2TB one) also have a dual-stage actuator which helps overcome the difficulties of positioning the read/write heads accurately when dealing with today’s high-density disks and it also helps prevent misalignments caused by any vibration effects on the drive. 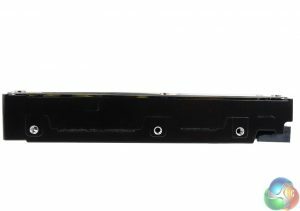 Although home users may not give hard drive problems caused by vibration a second or even a third thought when you start adding a few drives together in a large NAS type enclosure, vibration problems may start to become an issue. 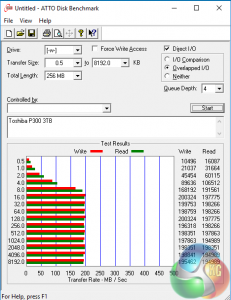 The drive is very quiet in operation even when it was being pushed hard in some of the benchmarks. 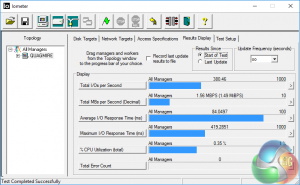 Quoted power consumption for the 3TB P300 is 6.4W for typical Read/Write operations and 5.2W in low power idle mode. 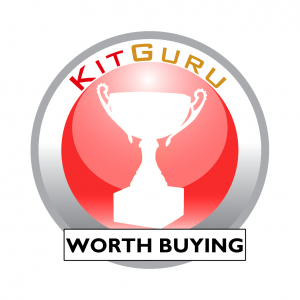 Kitguru says: Toshiba hard drives are often overlooked particularly the 3.5in ones, but the P300 3TB model is a very competitively priced mainstream drive with decent performance.